What a beautiful butterfly and background!!!!! The colors are fabulous! I love this!!! LOVE the vivid colored background!! Gorgeous colors! Love the ripped notebook paper - adds such a whimsical feel to your stunning creation! 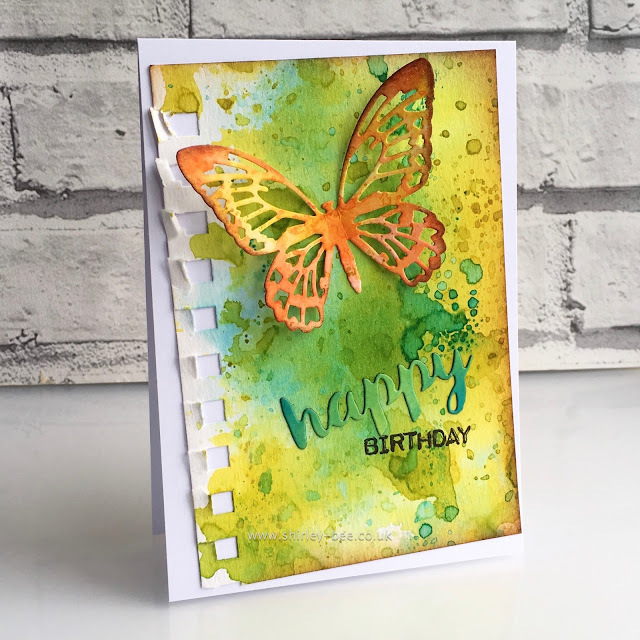 Love the wonderful colors in your smooshed background and that gorgeous butterfly! Very pretty again, love the color combo and the splatters. I don't think my smooshing and dipping would ever turn out this well! LOL This card is sensational. Sorry I am so late commenting I just got back from Seattle! Hope all is well with you! Wowie!! Is this ever stunning!